Yes and I feel certain that she is enjoying and celebrating life more than ever, right now. May your restful, joyous and ascended life that you are experiencing right now, dear lady raise you even higher towards that pure light being existence you often spoke of. May you never suffer physical or any other type pain ever again. Rest in GOD’s peace Light and love, my dear friend and teacher. Until we meet again. Watch over us all, guide us when you see a need. Be with Julia as she takes the reins in your place. Let her hear your gentle voice whenever she may need a little boost. Thank you for sharing your amazing life with us all here on earth. Know that you are loved and will never be forgotten. May your Cannon University soon stand in your honor and memory. 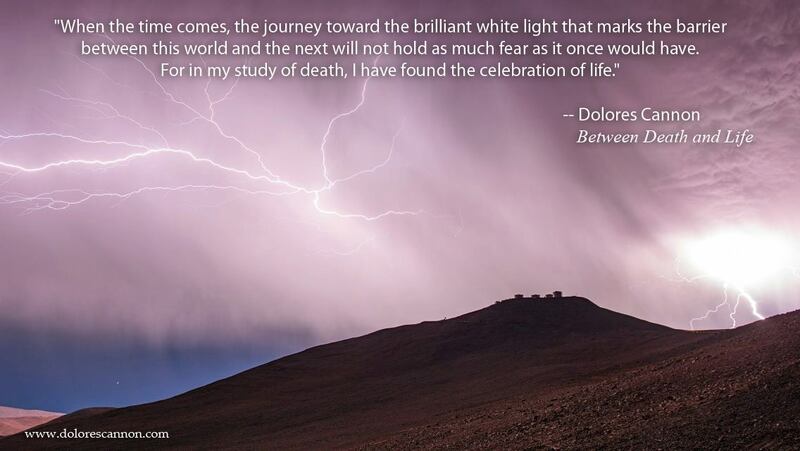 Never doubt Dolores, your work will continue and even climb to greater heights. As it is written in prophecy, “The sting of death will be removed” Dolores’s work has surely helped to bring this about. Since WordPress doesn’t show clearly whether a comment is Liked, I may have not Liked some. Now, I get that orange means liked and blue is not yet liked. I do appreciate all the comments my readers make.